A cup of hot chocolate is the perfect warm-up beverage for an exquisite treat on cold winter days. And if you want to make an authentic Italian hot chocolate beverage at hope, you can rely on the experience of Baratti&Milano, specialist in artisanal chocolate products. This pack contains the mix prepared in accordance with the original recipe to make a smooth and delicious cup of hot chocolate in a matter of minutes. 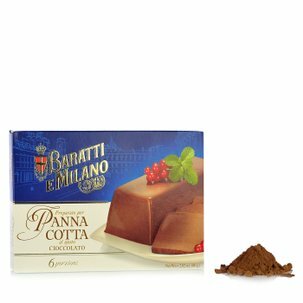 Ingredients sugar, low-fat cocoa, flavourings, thickening agent carrageenin For more information on product labels, please contact our Customer Service department. The information on the labels of the products may vary for reasons beyond our control, therefore, there may be discrepancies between the information on the site and that on the products delivered. Please always check the information on the product before consumption or use. 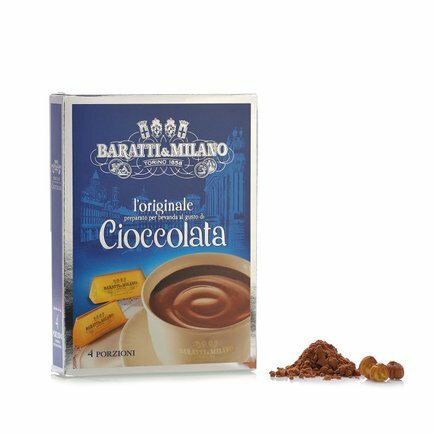 Founded in 1858, Baratti&Milano became the reference confectioner of Turinese tradition and found favour also among several famous patrons from Italian history, including Guido Gozzano and Pietro Mascagni. 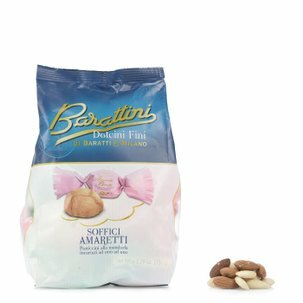 Renowned for its chocolate confections, apart from its pralines, giandujotti and hazelnut cream Baratti & Milano also produces mouth-watering sweets and delicacies to be savoured and shared for a tasty snack.